Ideal for laboratory & industrial applications, the OHAUS Scout STX features an easy to navigate color touchscreen display & a slim design which allows stackable storage. 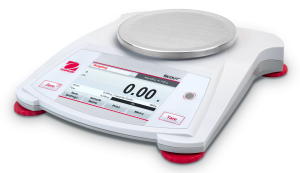 Geared for superior performance with fast stabilization time and high resolution weighing results, these portable balances set a new standard for a broad range of weighing applications. Features also include superior overload protection and expanded connectivity options.